While the lack of transparency has caused some confusion, a lot of the current Marvel discount situation is fairly standard operating procedure for Amazon, so let's walk through what's probably going on. We should probably talk about the Comixology/Amazon 99-cent Marvel sales that have been going on. Once upon a time, I taught eBusiness at Columbia College Chicago for five years and I usually gave a case study of Amazon for the first lecture. Most people are familiar with Amazon, so it was a good way to ease into the course. There isn’t a whole lot that I’m seeing here that’s particularly new or shocking, but there are a few different ways this could play out and it’s worth talking about the implications. There are few very relevant questions about what’s been going on. Is this about forcing the issue of digital pricing? Is this about going after the retailers? Let’s tackle it in that order. At this point, I’m about 90% convinced it’s Amazon that’s ultimately behind the 99-cent sale on new tpbs. Frankly, the 2nd and 3rd hand chatter has been completely contradictory on many subjects. While I hadn’t made it to the convention center to hear it for myself, I had multiple people describe C.B. Cebulski’s answers to questions about that 99-cent sale and the way he phrased the answer raised some doubts in my mind about what was going on. It seems unlikely that a vendor would completely ignore your questions for a month on what should be a point of the distribution contract. But, C.B. is not the person who’d be calling Amazon and I don’t know how well the situation has been described to him. Regardless of what’s happening, he probably could have been better briefed on a topic everyone knew was going to come up. What I _have_ heard is that Marvel is telling freelancers that they’re getting the normal, full sales amount from Amazon on these 99-cent purchases and that the freelancers will get the normal royalties (or incentive payments, if you prefer). If that’s the case, Amazon’s using this as a loss leader and it’s their call. The other thing that leans very strongly towards Amazon is how they have a 99-cent search option in the Kindle comics section. That’s a pretty good signal they want to be doing this discount program for a while. The real question is whether Marvel has a clause in their contract with Amazon that lets them control the pricing on the site. Perhaps my memory fails me, but I seem to recall being able to dictate discounts or forbid discounts was a big deal with publishers when digital distribution first started up. That said, when digital distribution was starting up, people were concerned about price levels on SINGLE ISSUES, not necessarily digital book collections. It’s entirely possible the digital singles are price protected and that’s why it’s the tpbs that are getting discounted. After all, the Amazon/Comixology is on the single issues only. I’ve heard a lot of people disagreeing about whether Marvel controls their own pricing, and this would be the simplest explanation. If Marvel has control over digital tpb pricing, then they signed off on all these sales. Period. If they do not have control over tpb pricing, then they may not be able to do a lot about this, past threaten to pull everything off Amazon… and that might not be realistic. Or perhaps go to Disney and ask the parent corporation to try and help. If you’re a publisher, you might want to check your agreements with Amazon/Comixology and see if you have control over pricing and specifically what you have control over. I also am not clear if the backlist sale that started all this off (The Vision and Walt Simonson’s Thor, etc.) was Amazon just having a sale and giving Marvel their normal distribution price or not. It is possible that the sale on new releases and the sale on the backlist are two separate promotions operating under different terms and most of the discussion about these sales has been focused on the new releases. I don’t want to conflate the two things if they’re separate. The other thing that gives me a little pause is the timing on some of these new sale books popping up on Marvel Unlimited. Master of Kung Fu Epic Edition is on sale for 99-cents and next week, issues of it start showing up on Unlimited. No six month wait. Then this Monday, I see some of the Wolverine issues from that Epic Edition that was just released on Unlimited. Could be coincidence, but a small part of me wondered if they were trying to get some extra digital sales before it hit Unlimited. That’s the strongest argument for Marvel making suggestions on new releases and it doesn’t seem a particularly strong one. People ask why Marvel is the only publisher having these kinds of sales on Amazon? If you’re Amazon, wouldn’t you want to be promoting an exclusive publisher, even if they’re only exclusive on single issues? DC is not an exclusive publisher and for whatever reason, contractual or consent, they are able to offer these prices on Marvel. There’s no reason to promote anyone else until you’ve exhausted the Marvel audience and need to get some fresh blood in. If there’s a little voice in the back of your head saying, “but all this means Marvel is making at least 7 figures on this promotion, couldn’t there be somebody in the business office agreeing to it and they just don’t want to admit it?” Yes, I’ve had that thought, too. And they might not have bothered telling editorial if they were doing that. I don’t know many retailers who trust the Marvel business office after the last few years and it’s going to be hard to eliminate doubt about Marvel cooperating with Amazon without trust. It does look like Amazon is driving this, though, not Marvel. I did ask Comixology if they could clarify who was setting the sale prices, but did not get a response. I did not expect one. Amazon very rarely comments. Now that is an excellent question. As you may or may not know, Amazon does try and force you into a $2.99 to $9.99 for eBooks if you sell on the Kindle platform. If you price in that range, you get a 70% split, less a data fee. If you price above or below, you get a 35% split. That range doesn’t work so well for comics, particularly collected editions, which are often brought into the Amazon ecosystem through Comixology and theoretically can operate under slightly different rules. And let us not forget iTunes dictating music download prices for years. There are precedents for these things. We’ve all heard discussions about whether print cover price was appropriate for digital comics or it was just something there to protect the retailers. A sort of digital tariff, if you will. So let’s do a little looking. If we operate under the assumption that Marvel is being used as testing for different price points and they can touch collected editions/books, but not singles, then we should expect to be seeing a few different price points. What can we find? 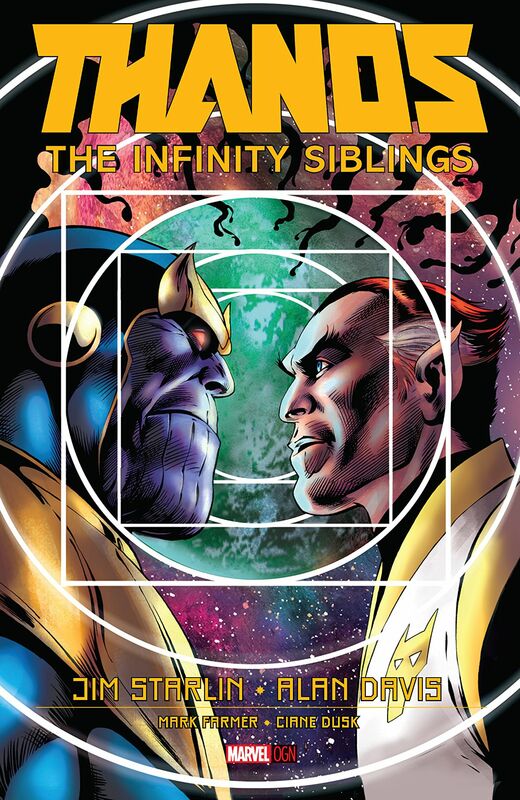 Thanos: The Infinity Siblings was 99-cents last week. Today it’s $19.99 on Comixology, but only $10 on Kindle. Comixology is at the digital list price and Kindle is discounting. Print list price is $24.99. That’s an original graphic novel, so it might be a special case. X-Men: Blue had volumes 0 and 3 on sale for 99-cents three weeks back. Today at Comixology, V. 0 is $12.99, V. 3 is $5.99, V. 1 and 2 are $6.99. Over at the Kindle section of Amazon, V. 0 is $10.00, V. 3 is $4.50, V. 1 and 2 are $5.50. Wolverine Epic Collection: Blood Debt is a 469 page reprint collection that was 99-cents a couple weeks ago. Today on Comixology, it’s $12.99. On Amazon, it’s $9.99. The digital list price is $19.99. So we’re definitely seeing some different pricing levels going on right now and different prices on different platforms. Amazon is driven by two things: #1 is trying to please the customer/consumer; #2 is data. You have to think that the pricing is data-driven and they’re trying to optimize sales vs. price for the most dollars as their ultimate goal, but not necessarily the short term game. Currently, this is most likely just Amazon discounting. For the sake of argument, let’s say that Marvel gives Amazon/Comixology a 30% discount on digital (they’re exclusive on single issues, so it might be higher). Marvel keeps 70% of the digital list price and Amazon would get 30% if they sold for list. The digital list price on Thanos: The Infinity Siblings is $19.99, so when a copy is sold for $19.99 on the Comixology side, Marvel would get $13.99 and Comixology would get $5.99 and then eat the transaction fee. If it’s sold on Amazon, Marvel would still get $13.99, but since Amazon’s only charging $10 for the Kindle version, they’re losing $3.99 plus any transaction fees incurred. It’s a loss leader. And yes, that means if Amazon was just treating this as having a sale, they could realistically have been eating $13 every time they sold Thanos: The Infinity Siblings for 99-cents. That’s not their higher digital list price in this sale, either. If what I’ve heard is true, Amazon’s losing a lot of money on these sales. Maybe Marvel’s actual revenue split with Amazon is 60-40 or 80-20, but it’s going to be something along these lines. Why would Amazon want to lose that much money on transactions? This could merely be a very expensive way to recruit more readers to reading comics on the Kindle and Comixology platforms. And it could be prioritizing one platform over the other, for all we know. Get them in, keep them reading and your money when they buy digital tpbs from different publishers now and then make money off when they buy Marvel digital tpbs much later when the discount is lower. Or use the digital tpbs as a gateway to the potentially more expensive (and potentially price protected) digital monthlies. Spending money to create a large customer base. This could be an aggressive attempt to get more data on how people react to different price points. Will they buy additional volumes of a series when a new one comes out on sale and if so, which price points are optimal? If you’re a reader, sit back and enjoy it while it lasts. These things don’t last forever. If you’re a publisher, you want to pay very close attention to what Amazon’s conclusions are on pricing. Amazon might want to create a pricing range similar to Kindle’s $2.99 – $9.99 range to get the most favorable discount. And you know what? Their findings might make you more money on digital tpbs, but there could also be a real danger that it cannibalizes your digital monthly sales and print sales, without having sufficient volume to cover the loss of revenue in other formats. Let’s do a little math on that. I’ve heard that a DC/Marvel creative budget for a book used to be about $500/page or $10K/issue. Rates may have gone down, but let’s use that as an example. Let’s say that a publisher is forced into one of those price points we’ve seen with the current flavors of sales in order to get a 70-30 split of list price and it undermined the digital monthly and print sales? i.e., now you’re stuck with a digital tpb/OGN as your only viable format. How many copies would you need to sell of a heavily discounted digital tpb (effectively an original graphic novel, after the cannibalization) to cover a 6 issue tpb’s worth of material. Not run a profit, just break even on creative. Yeah, that doesn’t look promising. At 99-cents, only the very best sellers could have been sniffing around 8500 copies unless those sales are disproportionately high on the Kindle side. The math doesn’t work. And if you have a 50-50 split, the math is even worse. When people talk about original graphic novels being more expensive than collected editions, this is why, and cheap digital tpbs do run a risk of devaluing monthly comics if they’re sufficiently inexpensive and offered long enough. We’re not there yet, but it’s a risk. But when you’re looking at risk, it’s worth looking at a worst case scenario as described above. If Amazon were trying to push 99-cent single issues, and still giving a reasonable revenue split, there’s a better chance the math would work out, but that’s not what we’re seeing with digital collected editions. So yes, this sure looks like the examination of digital pricing has begun in force. The question ultimately becomes what they find and whether they choose to act on the data. It’s Amazon, they’re checking the data. And should, really. There’s no shame in knowing how things sell on your platform. It depends on whether the perspective these sales are coming from is about generically bringing new readers into reading comics on Kindle and Comixology or if they’re specifically trying to convert print customers. If they’re converting print customers, they’re trying to take them completely out of the brick and mortar world. That said, with that risk of devaluing all other formats, there is a perfectly reasonable perspective that intentions are irrelevant. It is ultimately a problem for retailers and retailers need to be aware of it. If I were Amazon and I smelled blood in the water in the Direct Market, selling a $25 – $40 book for 99-cents would be an excellent tactic to move purchases away from the retailer and leave them stuck with an expensive book. It’s one of the most cutthroat things they could do that they have available to them. If you’re a retailer, and you’re not keeping an occasional eye on Amazon’s print discounts, it’s probably time to start. If the print discounts go up during 99-cent sales on new titles, that’s a declaration of war. There are some readers who will only want print. Right now the war is about ones who want digital or will accept it for the right price. Digital prices on monthly issues seem to be mostly protected by the publisher agreements, to it’s hard to come after that segment of the DM directly, outside of collecting customers who just prefer to read digital. Amazon hasn’t shown an inclination to get into monthly print single business, so that’s there. However, it’s book side of the business that everyone has tagged for growth. They’re running promotions on the digital side and if they have the budget allocated, they can do similar things for print. So yes, the Direct Market looks like it’s now feeling the full heat the bookstore market has been feeling for years. But you know what? There are still bookstores and the independent bookstores might just be the most stable. It’s not always pleasant, but plenty of bookstores have survived. Which is not to say that comics isn’t dealing with a separate list of internal issues on top of Amazon looming. Here were are. It sure does look like there’s a sustained program of some kind going on inside Amazon. Amazon is big enough to impose pricing changes and that does have some potential implications. And there’s a very good chance that Marvel did not start this, even if they’re likely getting a financial windfall from the sales. Follow-up question, Todd: Do you think potential cannibalization of Amazon’s TPB sales for digital sales is a significant factor for Amazon? A number of the Marvel $0.99 sale titles have been for TPBs that had yet to be released when the digital sale took place. For example, 5 of the titles announced today for the $0.99 digital sale (AMERICA, SPIDER-MAN/DEADPOOL, GWENPOOL, SPECTACULAR SPIDER-MAN and DEADPOOL VS OLD MAN LOGAN) aren’t being released as TPBs until ~2 weeks from now, on April 24th. Is this a significant loss for Amazon? I know — Amazon can afford it; what I mean is, is the amount of money they lost on the TPB sale about the same as they’d make on the digital sale, if you ignore the “loss-leader” discount of the $0.99 price tag? Or is a more significant chunk of change? Anyway, great article — you raise some interesting questions, particularly re: Amazon’s bias for digital. There are print people and there are digital people. My impression is that Amazon would like lock in the digital people because they own the file formats, the software and can at least make a stab at owning a good chunk of the hardware with the Kindle. You’ll notice there have been more sales with Comixology and Kindle better integrated. You own somebody’s library, you should have their purchases when it’s locked into a system. Now, you can download DRM-free PDFs and such of some publishers. Comixology will provide that when possible, but most of the Hollywood owned publishers and IP owners want nothing to do with DRM-free. On top of that eBooks are easy to scale and don’t require an army of warehouse workers to pack and ship. They have to be taking a hit, too, but they seem to have specific digital goals in mind and are working towards them. I couldn’t conceive the print hit not having been factored into the budget. They tend to hire detail-oriented folks. To your point about bookstores surviving eBooks, the initial eBook “craze” (such as it was) wound up stabilizing after a few years once readers figured out what types of books they wanted to read on a device. Mass market paperbacks were the hardest hit (last I looked those sales were at 50% or more in digital). We were worried in the beginning, not knowing how it would shake out, but then the trends started to show people still preferred children’s books in print, same with art books, and then literary fiction and other genres started responding with more beautiful designs and production values that made you want to own it in print as an art object. eBooks are still taking pot shots at us on occasion but I feel like we’ve reached a ceasefire. I wonder if comics has avoided this shift for a while and might have to face it soon; some kind of recognition that certain comics are better in digital, and what’s left in print has to bring its a-game. 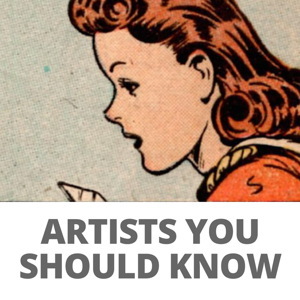 I don’t know what that looks like since, unlike books, so many comics are the same genre. But it’s an interesting question. Problem with comics is that they are very brand oriented. Something that isn’t cultural icon like Batman or Superman or directly tied to MCU always has problems with selling. Those “worst case” projections look bad even for many top comics properties. I just can’t see smaller characters really being able to reach even more optimistic projections. 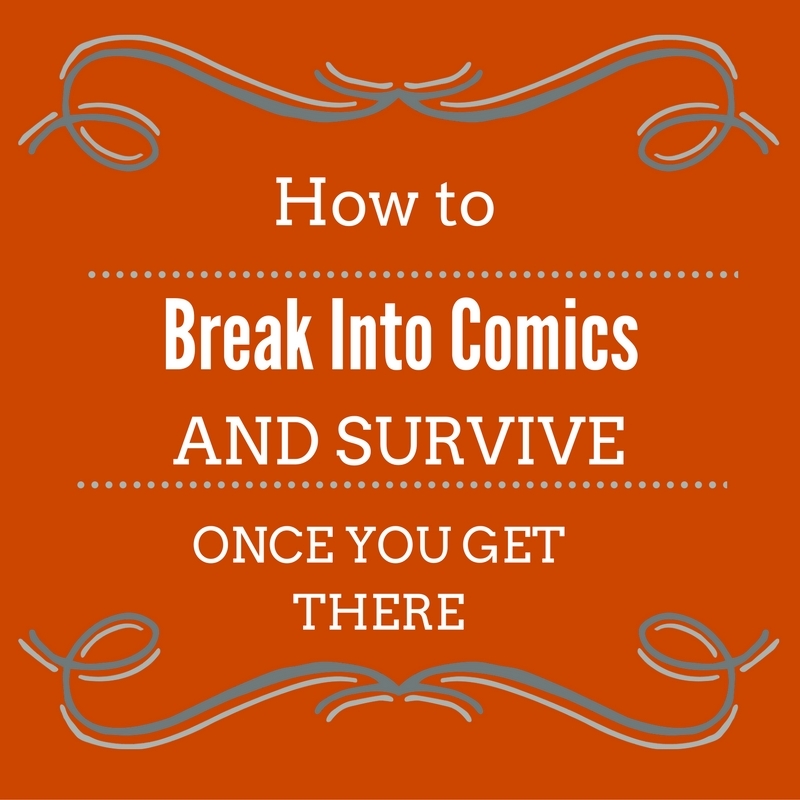 Somebody asked David Steinberger (comixology CEO) ? He has a twitter account. So something is going on as comiXology has returned the 99 cent books back to regular price and removed the banner. Amazon however still has the 99 cent prices and have already added the retro books today, strange tales, vampire tales, etc. wondering if a compromise has been made. In Canada we use Comixology.com (no.ca) and have been able to take advantage of the $0.99 promotion like anywhere else. We can also go to Amazon.com but haven’t been seeing the same 0.99 cent pricing. Instead on Amazon.com I’ve only been able to see the regular price before the exchange rate that is on Amazon.ca. For instance when Gwenpool Vol. 5 came out yesterday, it was showing $5.00 on Amazon.ca, $3.94 on Amazon.com, and $0.99 on Comixology. Comixology has reverted back to regular pricing but the comment above indicates that Amazon.com still reflects the $0.99 promotion. Meanwhile in Canada, The Sub Mariner Masterworks that released today for is $10.00 on Amazon.ca, $7.88 on Amazon.com, and $16.99 on Comixology. It appears that now that Comixology has reverted to regular pricing, Canada is losing out on the 0.99 promotion since we are unable to utilize the promotion on Amazon directly. Either Amazon.com for the American IP simply hasn’t updated and has the promotion still until it’s turned off or…bummer. So all of today’s new releases of older trades on Comixology are regular price and on Amazon are 99 cents. Amazon also still has the 99 cent section and on sale banner prominently on their graphic novel section. The Marvel Point One trade isn’t in the section but if you search for it you’ll find it for 99 cents. I’m curious to see if Amazon continues this promotion next week but it’s clear comixology appears to have stopped. This sale bestsellers have about 8500 downloads, as you wrote. For 0.69 for copy you have 58 dolars. It’s about 6 full price downloads. There is prety high chance that under 8500 users you have six, which downloaded cheep, but if not sale, they will pay full price. But what about rest? They are not buying digitals regullary. They read print or they read pirated. It’s better to have something from them then to have nothing? I think so. Main reason for this sale is I think to teach people read digitally, to teach them go to comixology and to teach them pay something for digital comics. Because the future of comics, espacially periodicals, is in digital. I know that I wrote now lot of things against LCS’s. But that’s my opnion. I’m certainly no economics expert. Thanks for the thoughtful and detailed analysis, Todd. FWIW, their additions of recent OGN’s and those Comixology originals are less consistent, however. All six issues of Immortal Iron Fists were uploaded to the MU on the same day (2/5/2018) while the series was released over the span of a few months initially (July through October 2017). Thor Vs. Hulk: Champions of the Universe appears to be following the standard six month delay. What’s also interesting is that before today the majority of Marvel trades on ComiXology were at least somewhat discounted – a lot of Masterworks were $10.99 instead of $16.99, but now they are all showing the full digital list on Comixology. Almost every Marvel trade on Comixology just went way up in price. It’s digital copies, so it costs them nothing to distribute these (royalties/commisions not factored in). I’ve bought 1-4 each week, but they are books I probably would not have picked up for my collection. I did not pick them up during the sales when they likely would have been between $1.80 or $2.80-ish. So they’ve gotten $7-$10 from me in the last month that they WOULD NOT have gotten from me if they were more. So if they keep this up, it could be $80-$100 a year that they would never have gotten from me. You are a fine man and this is a great article.